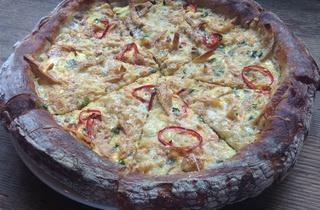 Chilaquiles breakfast pizza at Stella Barra. 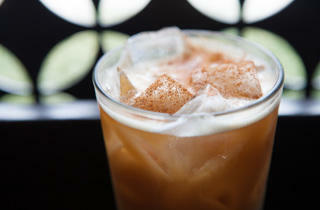 Photograph: Martha WilliamsCoffee cocktail at Stella Barra. 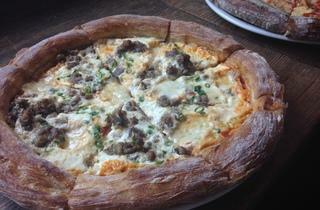 Kick start breakfast pizza at Stella Barra. 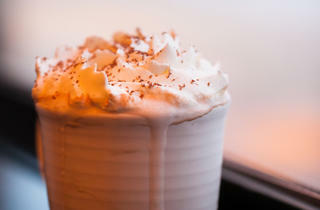 Photograph: Anjali M. PIntoHot chocolate at Stella Barra. 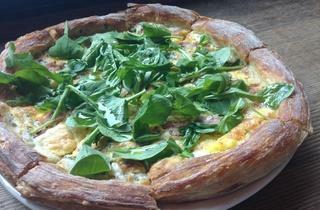 Bacon and egg breakfast pizza at Stella Barra. Photograph: Anjali M. PIntoCereal at Stella Barra. 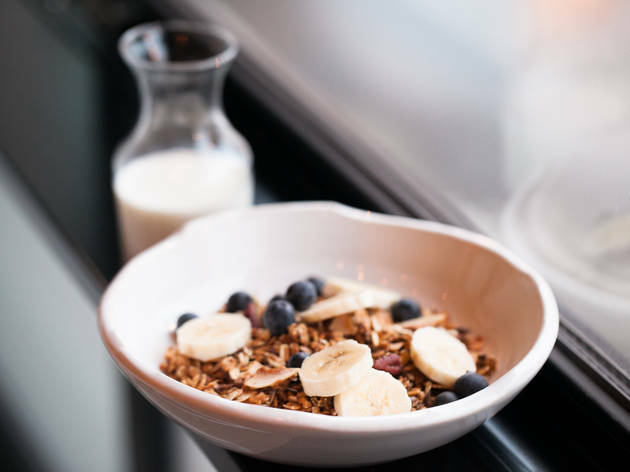 Pizza isn't usually the first thing I crave for brunch, but I like Stella Barra Pizzeria so much that when it recently launched a new morning menu, I wanted to give it a chance. While sister restaurant Summer House Santa Monica looked much more appealing with its airy, summery vibe, we grabbed seats on Stella Barra's new back patio, which has brick walls and hanging lights. It was much calmer than Summer House, where there was a wait for a table. 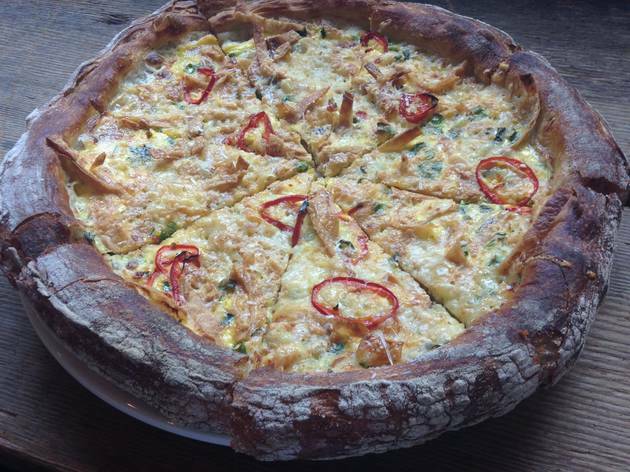 Stella Barra's brunch menu is pretty simple: four breakfast pizzas, all of which have a scrambled-egg layer; three sandwiches; and a couple of other items like an omelette and a Belgian waffle. 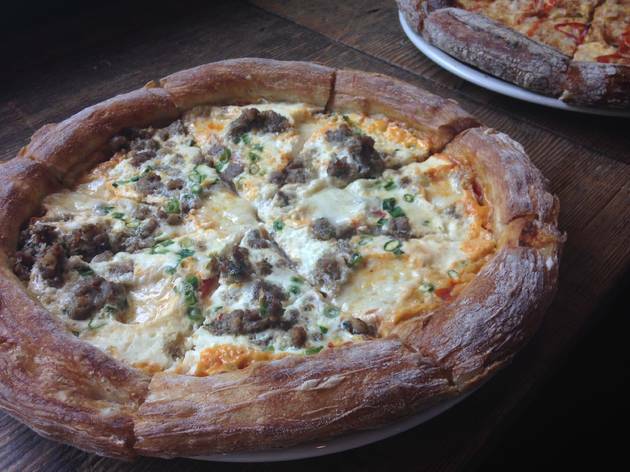 The regular food menu is available as well, so if you want to have the terrific fennel sausage pizza for brunch, go for it. 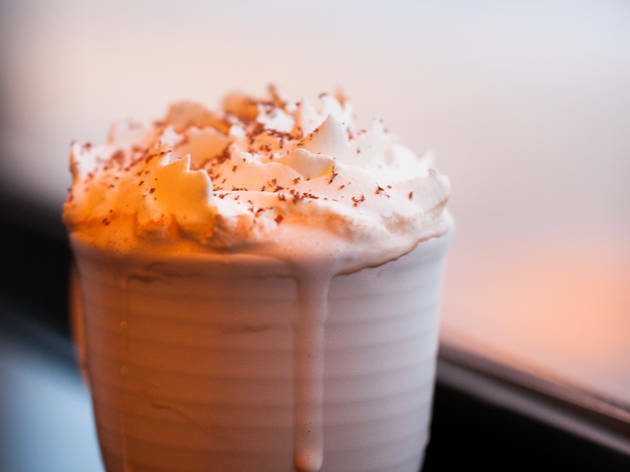 But start with a drink. 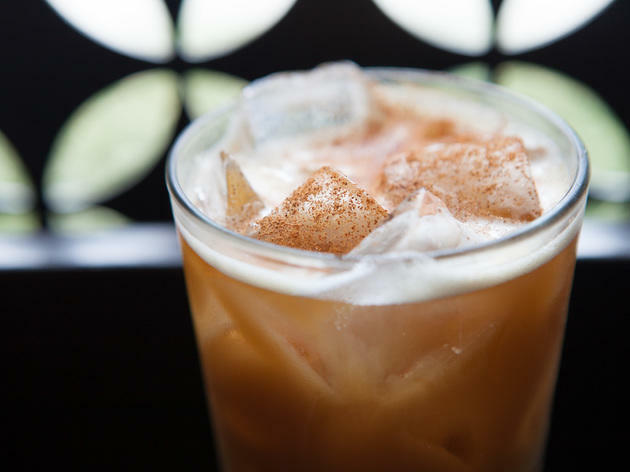 We really like the Coffee Drank, which combines Dark Matter cold brew, rum, bourbon, cream and vanilla, and you can also get the ginger and amaro Sicilian Highball, our favorite cocktail there, during brunch hours. For pizzas, we went with the bacon and egg pizza, which had a layer of Parmesan cream sauce, then smoked bacon, Gruyere and pecorino, chili flakes, rosemary and a whole mess of arugula. While the crackly crust continues to be perfect, the rest of the pizza sorely needed seasoning. 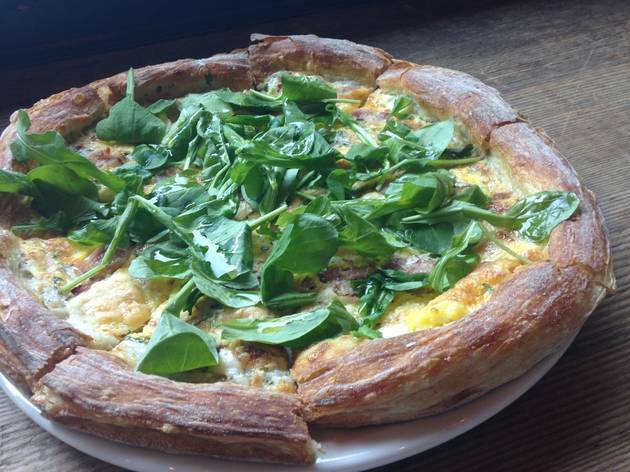 "No one wants to eat plain, dry arugula," my brunch date said, and I'm inclined to agree. We fared better with the Green Eggs and Ham Sando, which despite sounding like a dish for a three-year-old, was a solid breakfast sandwich. The fact that it's served on the housemade sourdough English muffin doesn't hurt, and the ham, Gruyere, scrambled eggs and arugula pesto were well-balanced in terms of flavor and texture. 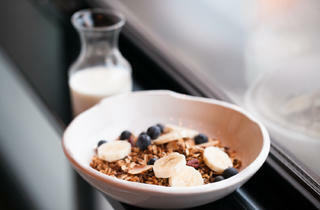 While this wasn't the most exciting brunch, and it paled in comparison to Stella Barra's dinner menu, it has one major thing going for it: It's served till 4pm, perfect for when you and your friends can't get out of bed until the afternoon hours.